Malaysia-based Motorsport Event Organiser to Host First Round of FIM Asia Supermoto Championships in Australia. Asia Supersports Group (ASG) recently secured a 3-year deal with the Newcastle City Council to host the first round of FIM Asia Supermoto Championships in the second most populous area of New South Wales, Australia. Satheswaran Mayachandran, chief executive officer of ASG, disclosed that the group has selected Australia as the first round which will be held on 3 and 4 September 2016. 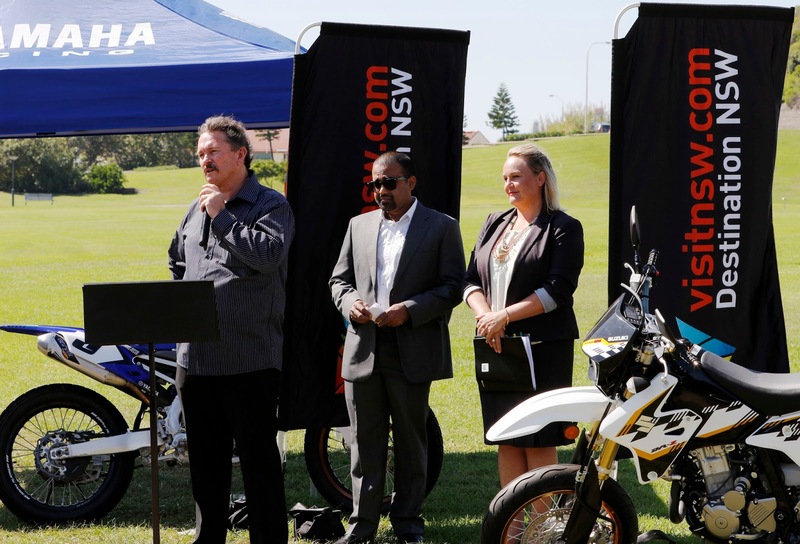 (Left to Right) Graeme Boyd, Chief Executive Officer of Boyd Events Pty Ltd; Satheswaran M, Chief Executive Officer of Asia Supersports Group and Nuatali Nelmes, Lord Mayor of Newcastle City at the launch of FIM Asia Supermoto Championship 2016’s first round at Foreshore Park, Newcastle. ASG, the exclusive rights holder of the FIM Asia Supermoto Championships sanctioned by the Federation Internationale de Motocyclisme of Asia (FIM Asia), has embarked on a journey to promote supermoto as a major motorsport event in the region. The first series of championship held in 2015 featured over 18 top international riders from 12 countries including Brunei, China, Indonesia, Japan, Korea, Latvia, Malaysia, Singapore, Sri Lanka, Taiwan, Thailand and United Kingdom. “Supermoto is an emerging sport in the Asia Pacific region, with surging interest towards the profession. This deal with Newcastle will further expand the sport’s reach in the Oceania region, creating a rapidly growing platform that will engage and entertain two-wheel motorsport enthusiasts for years to come,” said Mayachandran. Supermoto, a race that combines various exciting elements of motocross, dirt track and road racing in one discipline. Courses feature jumps, tight hairpin turns, and high-speed straights on both dirt and asphalt surfaces. Tracks and venues can vary considerably, allowing races to be held at racing circuits, sports stadiums, on open car parks and on closed-course city streets. This unique sport offers pure excitement and adrenaline-filled fun for the spectators, who can be as close to the race as a few metres. 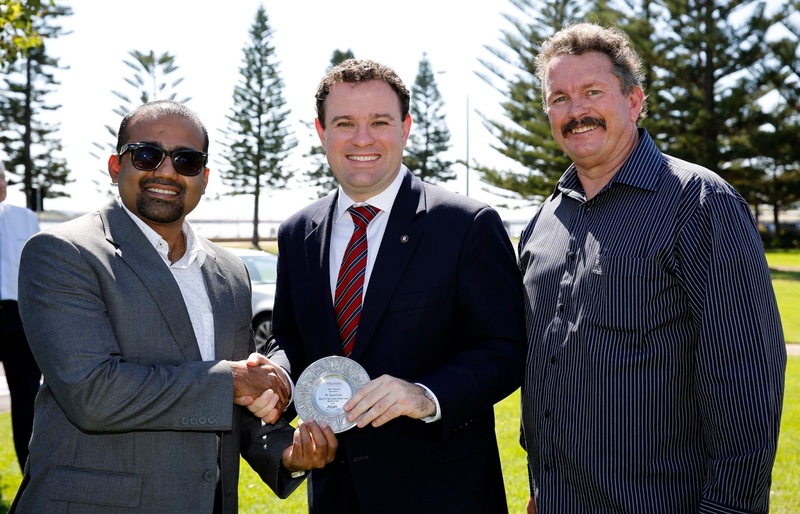 (Left) Satheswaran M, Chief Executive Officer of Asia Supersports Group, presenting a memento to (Centre) Mr Stuart Ayers, NSW Minister of Trade, Tourism and Major Events and Minister of Sports, and (Right) Graeme Boyd, Chief Executive Officer of Boyd Events Pty Ltd. The FIM Asia Supermoto Championships 2016 is organised by Asia Supersports Group, Bikenation Motorsports Sdn Bhd, CW Media Sdn Bhd and E-Plus Entertainment Productions (M) Sdn Bhd, supported by Destination NSW, Tourism Hunter and Newcastle City Council. For more information and announcements, follow us on our Facebook at FIM Asia Supermoto Championship and website at www.supermotoasia.com. Enquiries can be e-mailed to enquiry@eplusglobal.com. Founded in 1904, the Federation Internationale de Motocyclisme is an international organisation, which was created to control and develop the sporting and touring aspects of motorcycling and to assist motorcycle users in those fields. The FIM as defined in the statutes is the supreme and sole international authority empowered to control international motorcycling activities organised under its jurisdiction throughout the world and as such acts as the supreme court for the settlement of disputes which may arise from the organisation of such activities. The official titles of World Championships, Continental Championships and FIM Prize events in all disciplines of the motorcycle sport belong to the FIM. FIM Asia is comprised of 28 National Motorcycle Federations in Asia where they organize a large number of events and Championships in over 30 Asian countries. Asia Supersports Group Sdn Bhd (ASG) is a consortium of 3 companies namely Bikenation Motorsports Sdn Bhd, CW Media Sdn Bhd, and E-Plus Entertainment Productions (M) Sdn Bhd. Collectively, this consortium has over 30 years of experience in the automotive and event industry in Asia. Bikenation Motorsports as the Technical Partner of ASG, bring with them years of experience of managing and organising local and international SuperMoto races. They have promoted this sport to all over Asia and have helped nurture local talents of SuperMoto riders in Asia. 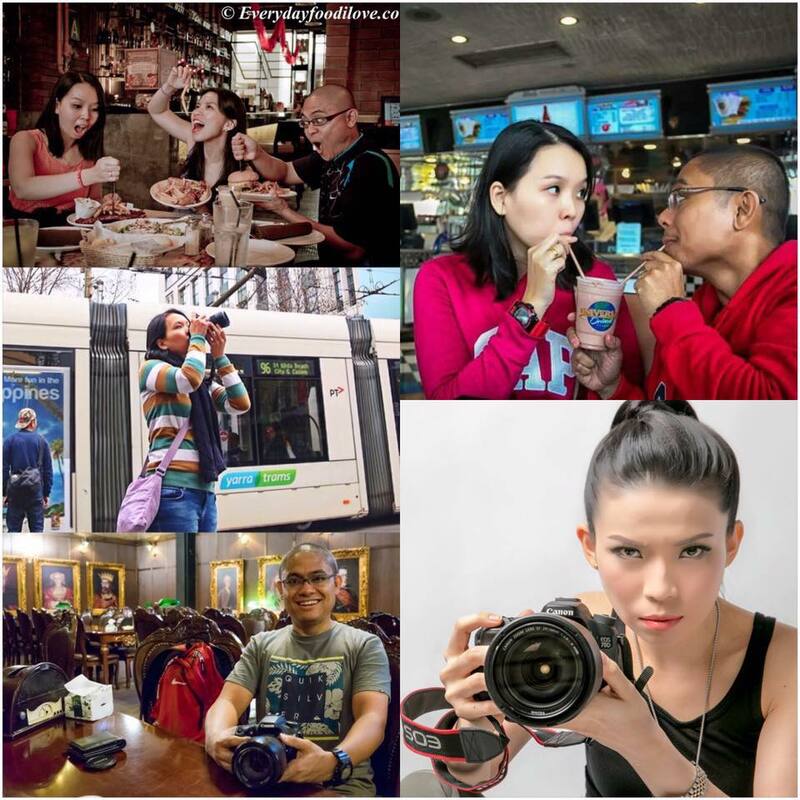 CW Media Sdn Bhd, ASG Media Partner, is a motoring publication company, which is also the license holders for Bonnier Corporation (Sweden) which publishes world renowned motorcycle titles such as Cycle World, Motorcyclists and Super StreetBike. 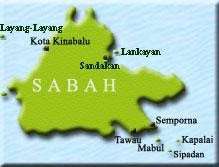 In Malaysia, they publish Cycle World Malaysia and On The Road and are also the founders of MotoJamm, an international motorcycle freestyle entertainment event and www.trademysuperbike.com, Asia’s top motorcycle classifieds/ecommerce website. E-Plus Entertainment Productions (M) Sdn Bhd is ASG’s Production Partner, which is one of Malaysia’s and Asia’s top event management agency with over 20 years of experience, managing thousands of world class events. 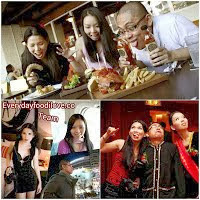 Some of the top events organised are the ATP Malaysia Open, Junior World NBA and Twin Towers Live.